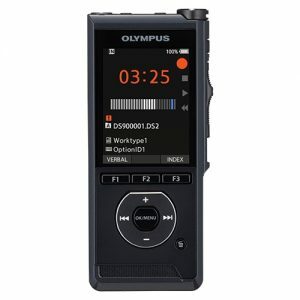 Compact design and light metal finish combine for a recorder with a professional look and feel and large easy to read LCD with backlight. 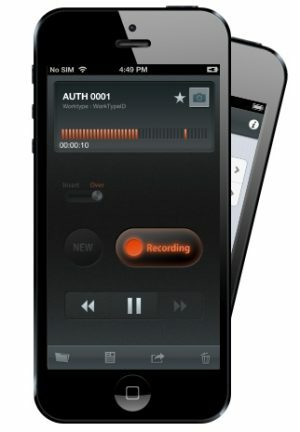 Records in DSS (Digital Speech Standard) format, developed primarily to meet dictation and transcription needs. 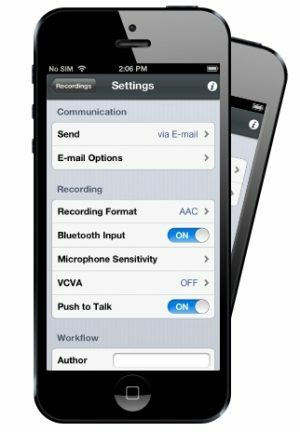 Two programmable buttons, A and B, to implement functions per user dictation preferences. 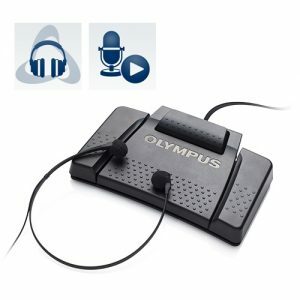 Choose between two combinations of recording modes, SP or LP, and recording sensitivity, Dictate or Conference, to suit your recording needs. 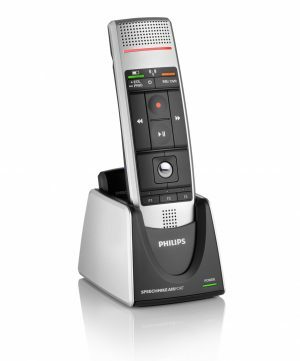 The DS-4000’s automatic voice activation keeps recordings free from dead space and saves recording capacity and time during transcription. 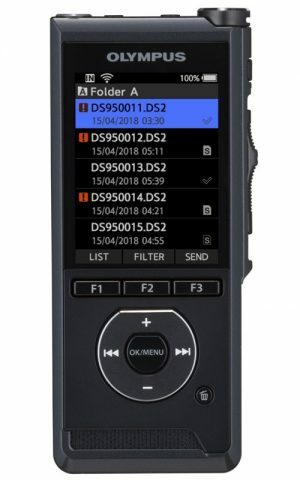 Up to 10 users ID’s and 10 Work Types can be programmed on the recorder to support user environment where recorders are exchanged amongst professionals. The DS-4000 allows for easy editing of existing recordings by appending, overwriting, inserting, and erasing or partial-erase of recording. 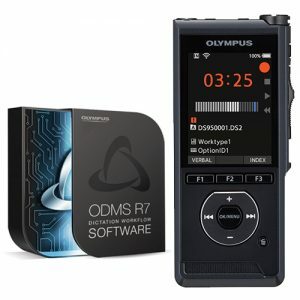 The DS-4000 recorder can categorically classify and store recording in any of the 7 different folders that can be programmed on the recorder. 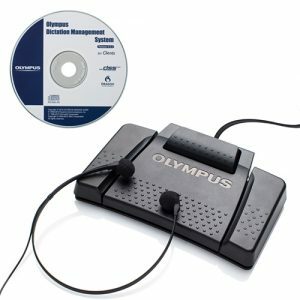 Each folder can store up to 199 messages per folder. 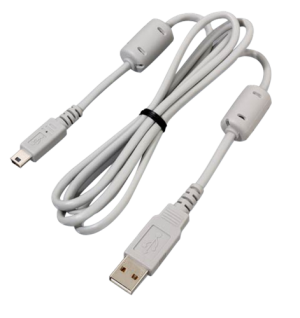 Designed to withstand the heavy usage of the professional user. Durable switches and connectors of the DS-4000 are designed to eliminate or minimize the down time. 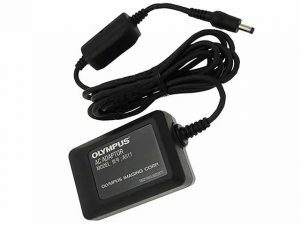 When the DS-4000 is left unused and in stop mode for a set amount of time, it will automatically shut itself off. 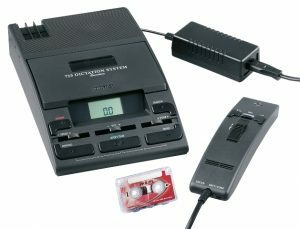 The DS-4000 transfer rate of dictation from the recorder to PC or vise versa has been improved to reduce time spent waiting for the transfer process to finish. 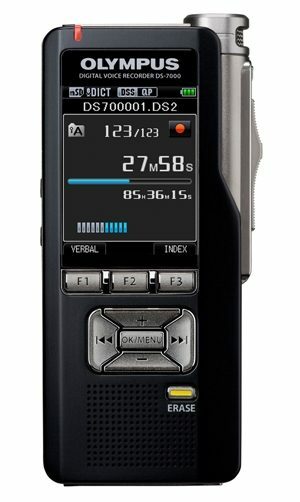 The DS-4000 will automatically synchronize its clock with your PC using the DSS Player Pro Dictation software. 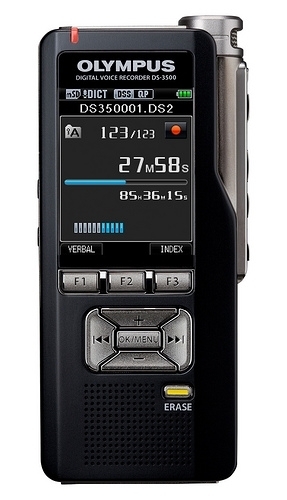 The DS-4000 supports hands-free recording with the optional RS-25 footswitch. Connect the RS-25 to the cradle, place the recorder in the cradle and you are ready to go. 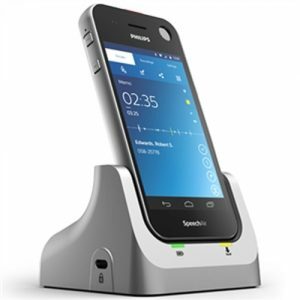 Multi-level alarms can be enabled and set to meet various needs. 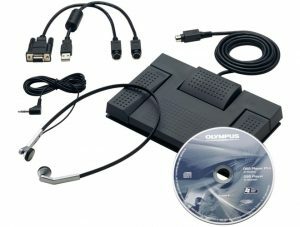 The DS-4000 supports and displays language in English, French, and German. 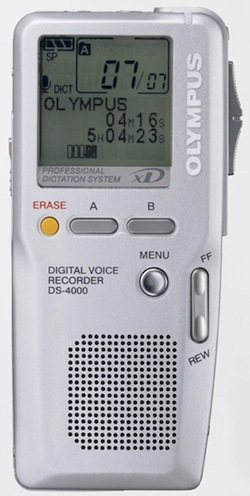 Splash screen automatically displays default time of day greeting when DS-4000 is turned on, or you can program your own greeting (up to 20 characters).